Cost Effective Data Recovery with fast turn around. Evaluation can be done while you wait. Why would you send your valuable drive away to a mystery company with little or no chance to know if your data can be “saved.” You might even lose it all if the wrong company opens your drive. We let you know right away and in many cases while you wait. Data Recovery by San Francisco Computer Repair has a very high success rate . Our in-house technicians can recover data from a myriad variety of hard drive crash – even with a raid, Linux, or hybrid storage array. Data recovery service is needed from some virus or “logic-bomb” attacks. Most data recovery issues are solved without a clean room and at a rate that won’t break your budget. Average billing time for data recovery is 3-5 hours. 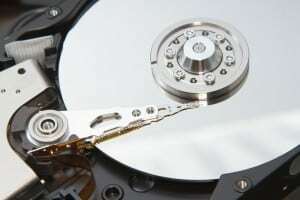 Hard drive repair can also be done on a variety of drives. San Francisco Computer Repair has a minimum service fee that must be made available either through major credit card or cash deposit. At which point San Francisco Computer Repair will work to retrieve your lost data. When you experience a data loss situation it is extremely important that you not act hastily to try to resolve the problem. Doing so can make matters worse and could result in the complete and permanent loss of your data. If you don’t understand what is happening with your system, don’t do anything but seek the advice of a hard drive data recovery professional. If your drive is making any unusual noises such as clicking, grinding or metal scraping, turn it off immediately! This condition typically indicates a head crash and major media damage. Hard disks spin at a high speed, anywhere from 3200 to 10,000 revolutions per minute. Extensive damage can occur in a short period if a drive is left running, making the data irretrievable. In this situation, it is best to turn off the system, remove the drive and bring it to our facilities for hard drive repair. If you’ve accidentally deleted files, emptied the Recycle Bin or Trash Can, don’t install any software or save extra files to your drive. Doing so may permanently overwrite the deleted items. If you are in the middle of a project when you discover files are missing, or you believe they have been deleted, save the current project to a floppy disk, or another storage device. Don’t write, install software, or save anything to the drive where the missing files were located. Although you probably won’t need hard drive repair, you will want to be safe rather than sorry. If you tempted to use commercial utility software such as Norton Utilities, and would like to attempt recovery on your own, you might render your data completely unrecoverable. We use high-level recovery software costing thousands of dollars to recover data. In fact, some of the software we use is not for sale at any price! Amateurs Beware!! Call us for a no cost rough idea on hard drive recovery, turn around time and success estimate. 1) What operating system you are running: Windows, DOS, Mac OS, Novell NetWare, or UNIX. If you are not sure, just tell us the model and make of your computer. 2) The physical capacity of your drive or other storage media that has failed. If you don’t know we’ll try to help you find out. The model number of the drive is also useful but not required. Raid data recovery is also available and it is recommended that the entire server is submitted with the drives and controller used when the failure occurred. Hard drive recovery is even possible when the fat table has been damaged! 3) If the drive is using compression, such as DriveSpace, DoubleSpace, Stacker or Times Two. These programs compress the directory and work differently than file level compression like Zip, DiskDoubler or StuffIt archives. 4) If you are using any password protection or encryption software. We will need to know what program you are using, the version and the password. 5) About the current problem, any particular symptoms or steps that led to the situation. The more we know about your particular situation, the easier hard drive recovery will be. In the event that San Francisco Computer Repair is able to do a hard drive repair and retrieve your files, we offer several means of returning them to you. Depending on the size and amount of recovered files, they may be placed on a USB Flash Drive, External Drive, CD or DVD. They may also be placed directly onto a replacement hard drive, provided by San Francisco Computer Repair, the customer, or a third party, such as the drive manufacturer or an extended warranty corporation. *Remember to BACK-UP often. Don’t take chances with important data! Hard drive recovery should not be your last resort!